ADHD (attention-deficit/hyperactivity disorder) is now recognized as one of the most common causes of learning and behavioural difficulties in school-aged children. Symptoms may include poor concentration, forgetfulness, poor organization, impulsivity, restlessness, poor social skills, learning difficulties, low self-esteem, and defiant behaviour. Despite growing awareness of ADHD among parents and health professionals, it is still widely misunderstood. 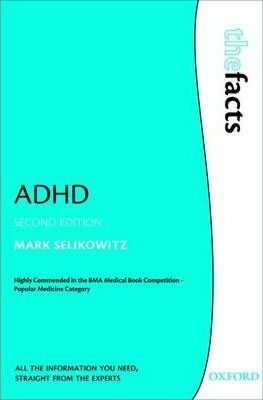 that have proved effective over time, this new edition includes developments in the understanding of conditions that often co-exist with it, as well as the problems experienced by adults with ADHD.